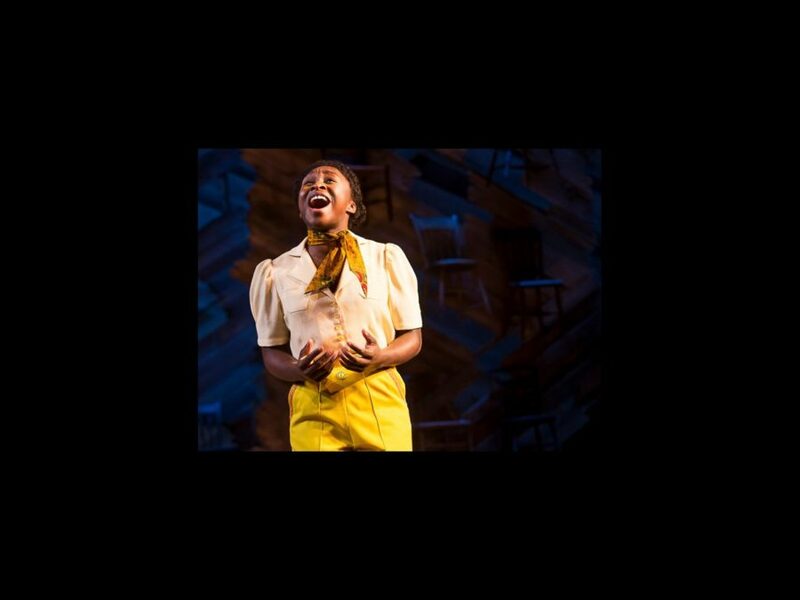 And in today's least surprising news…The much-lauded The Color Purple revival has pushed da button on a cast album! The Main Stem company, including Cynthia Erivo, Jennifer Hudson and Danielle Brooks, will hit the recording studio on December 14; the album is set for release on January 29, 2016 on Broadway Records. The album is being produced by six-time Grammy Award winner Frank Filipetti. The Color Purple features a book by Marsha Norman, lyrics by Brenda Russell, Allee Willis and Stephen Bray and music by Russell and Willis. Based on the novel by Alice Walker, the tuner tells the story of Celie (Erivo), a woman who, through love, finds the strength to triumph over adversity and discovers her voice in the world. Hudson takes on the role of Shug Avery and Brooks plays Sofia. The John Doyle-helmed musical officially opened on December 10 at the Bernard B. Jacobs Theatre; his stripped-down production previously played London's Menier Chocolate Factory, also starring Erivo. The new staging cuts approximately 30 minutes of material from the original incarnation and its producers include Oprah Winfrey. The cast also includes Kyle Scatliffe, Isaiah Johnson and Joaquina Kalukango.